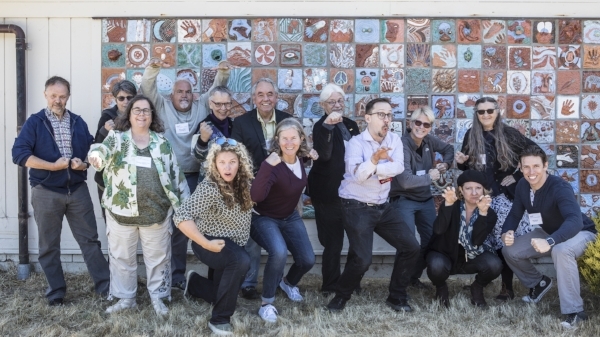 The Mendocino Coast Writers’ Conference is a vibrant gathering that offers morning workshops in a wide range of genres, relevant to differing experience levels—from a dedicated emerging writers’ workshop to a juried-in master class. Afternoons are packed with craft seminars, pitch panels, one-on-one consultations, and open mics; and every evening offers an opportunity to enjoy the camaraderie and connection that make this conference, in the words of a 2016 participant, “life changing.” An add-on or stand-alone publishing bootcamp is offered the day after the conference for all those interested in learning more about the business-end of writing. At our closing dinner this year, we will be joined by Pulitzer Prize winning poet Sharon Olds, our MCWC 2019 keynote speaker. We hope you’ll join us for this, our 30th year! Sharon Olds is an American poet. Winner of several prestigious awards, including the Pulitzer Prize and National Book Critics Circle Award, Olds was born in San Francisco in 1942, and earned a BA at Stanford University and a PhD at Columbia University. Her first book of poetry, Satan Says, received the first San Francisco Poetry Center Award in 1980. Her second book, The Dead and the Living, was both the Lamont Poetry Selection for 1983 and the winner of the National Book Critics Circle Award. She is also the author of The Gold Cell; The Father; The Wellspring; Blood, Tin, Straw; The Unswept Room; Strike Sparks: Selected Poems, 1980- 2002; One Secret Thing; and most recently, Odes. In 2012 her collection Stag’s Leap was awarded the T.S. Eliot Prize and the Pulitzer Prize. From 1998-2000 Olds was the New York State Poet Laureate, and she served as a Chancellor of the Academy of American Poets from 2006 to 2012. Her numerous other honors include a National Endowment for the Arts grant and a Guggenheim Foundation Fellowship. Her poetry has been anthologized in more than a hundred collections. She currently teaches poetry workshops in the Graduate Program of Creative Writing at New York University, where she holds the Erich Maria Remarque Professorship, and helped to found the N.Y.U. workshop program for residents of Goldwater Hospital on Roosevelt Island, and for veterans of Iraq and Afghanistan. Her next collection, Arias, will be published by Knopf in 2019. She lives in New York City.